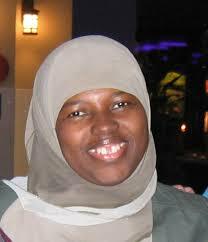 Sr. Aneesah Nadir is Director of Social Services for the Arizona Muslim Family Health and Social Services in Tempe. Sr. Amber Rehman of Sound Vision interviewed Sr. Aneesah for Radio Islam and has transcribed this interview with her about the social issues and problems confronting Muslims in North America, as well as her own background in this field. Amber Rehman: Assalamu alaikum Sr. Aneesah Nadir. Aneesah Nadir: Wa Alaikum Assalam. AR: To speak of social working in the Muslim community today, my first question is what made you interested in social working? AN: I became interested in social work really, a long time ago, although I didn’t officially decide that it be my career until I was in South Morin undergraduate school. I think I became interested in social work when my younger brother and his friend began talking about the role models they saw in the seventies, which unfortunately were not very good role models for African-American youth at the time. Also, growing up in inner city New York, I saw the disparity between the have’s and the have-not’s and somehow I felt that it was important to be involved in making a difference and making a change, so that there would be a greater degree of social justice for everyone involved. So that’s actually when I first began some interested in it, although I’ll tell you honestly, that I think that it’s something that Allah has called me to because it seems to be a really natural fit for me. AR: How long have you been involved in social work? I understand it’s been a few years since you majored in it. AN: I received my undergraduate degree in 78′, my masters degree in 82′ or 84′, sorry I’m losing track of the dates, and the times. So I think now if it’s 2000, then, it’s been about twenty years for me. AR: You said previously, that you would like to do your Ph.D. thesis on youth. Could you please expand on that a bit and explain why you chose that? AN: Yes, more specifically I want to do my thesis on social work and Muslim youth, or the social concerns of the Muslim youth. I want to do an ethnographic qualitative study that gives us a chance to hear from Muslim youth and what they see their experience of being Muslim youth in America has been. I think some of the implications of this on social work, both Islamic social services or in the Muslim community and mainstream social services, would be how to better understand how to relate to Muslim youth, to identify areas of strength as well as areas of challenge that they face. Certainly, the Muslim youth are challenged by a lot of things in this society, because our way of life is different and not well supported by the mainstream society. And sometimes Muslim youth experience different social problems family problems, identity problems, a variety of issues that the Muslim community is not well prepared for, nor do they develop sufficient prevention programs for it, nor is the mainstream social services community prepared. And there is almost nothing in the literature, in the mainstream literature or even the Islamic literature, so I would like to contribute to the literature. I pray that work will help us to develop some sort of prevention programs that will help out youth. AR: What do you think are some of the issues we should be concerned with when dealing with the youth? AN: I just mentioned a couple, the first being that Muslim youth are challenged by their identity issues in this society. Because there are so many kinds of negative stereotypes in the media about Muslims, it impacts what the Muslim youth feel about themselves, and it makes it really difficult for them to have a confident perspective. Another reason why I would like to do something with regards to Muslim youth is because many of the families are experiencing what we call a communication gap. Some parents, no matter where they’re from, be it that they’re American born and converted, or it could be overseas and raised as Muslims, none of us grew up as Muslim youth here in America. So this experience is very different for us as parents, and consequently that leaves us to be challenged in being the best parents, or the best role models, and providing the best advice for our young people who are raised here in America. AR: As someone who has done a lot of social work for the non-Muslim community previously and the Muslim community presently, do you feel that the concerns vary much? AN: I guess in some ways the concerns are similar, but certainly our concerns are unique because of the fact we are Muslims in a non-Muslim society. Some similarities are obvious, like young people as they develop and go through various changes in their lives, and some of them are facing issues with their parents and parental communication problem, identity issues and things like that. But certainly as I said, ours are unique because we are Muslims in a non-Muslim society, we have a framework, and we have a guideline to live. Today, unfortunately many non-Muslim people don’t have a good framework, they don’t have a strong support system. And certainly when Muslim youth don’t have that strong connection to Islam, or that support system, they end up unfortunately facing some of the challenges that the non-Muslims experience. AR: Why do you think Muslim youth should seek counseling before getting married, seeing that the rates of divorce are rising? AN: Being married is one of the most important things we’ll do, developing and establishing a family. It’s also one of the least prepared things we ever get to do. Most of [us] aren’t really prepared to be a spouse or a husband or a wife and eventually a parent. But Allah and His Messenger (peace and blessings be upon him) have placed before us guidelines, lessons and teachings that will help us to be well-prepared. Unfortunately, many of us aren’t seeking that guidance. I think it’s important that anyone, be it that their young or old, getting married, prepare and understand their rights and roles and responsibilities. We call these the three R’s. And more importantly we should know why it is that we get married. We get married primarily to serve Allah, we want a spouse that will help us to reach Jannah. Most people don’t think about that. They look at other reasons and other things to marry someone for. Many of the problems that are experienced in marriage, and again that may be in a youthful marriage or an older marriage, many of those problems are preventable. We have good guidance on how to prevent these things. then that, even before we get to the marriage preparation for the youth, if we get good Islamic education, application and good strong support, and developing a good strong support system, then I think marriage preparation and premarital counseling are a natural next step. AR: How should we get around to involving the rest of the community in social work, such as Imams, how should we train them? What should be done to involve all parts of our community? AN: First of all, our community needs to recognize that social work is an inherent part of our faith. In the Quran, Surah Al-Baqara (second chapter), ayah (verse) 177, there is a mandate for the provision of social work among the Muslims. Allah tells us that we need to be involved in addressing the needs of needy, the orphans, and also in terms of social justice for those who are oppressed. So I think it’s important for us to recognize and acknowledge as a society that this is an inherent part of our way of life and our way to get to Jannah. I think that’s the first step. Let me start with the Imams. Many of the Imams that have come to North America, or the Imams in North America who have come from other places, lack a really good understanding of what it means to provide spiritual services. The nuance and the way of this society are different from anywhere else. They don’t know how to handle this or how to deal with this. They don’t come prepared to be social workers and counselors. It’s important for them to understand the ways and the experiences of the Muslims here, despite all the various places we may come from. Many of them come with the perspective of providing basic spiritual information or basic religious information, but don’t understand how to teach people to apply that in their daily life here in America. In the community overall, the community has to support and recognize that social services has got to be part of the info structure, as much as we need mosques and schools, and Insha Allah (God willing) as we move towards activity centers, and we have civic organizations, newspapers and businesses that are operational by Muslims, we have to have Islamic social services centers. Many of the Muslims really don’t feel confident with mainstream social service providers at all. And because of that there has to be Muslims who are professionally trained, Islamically grounded in providing Islamic social services. AR: How should Muslims approach addictions, drug-use, and alcohol abuse, from the perspective of social services and counseling? AN: First of all we have to acknowledge that it’s Haram (forbidden). But we also have to recognize that some people come to the Deen, right now I’m speaking of those that may have reverted back to Islam, with issues and baggage, and issues that are unresolved. Also there are some people who have been raised in the Deen, as Muslims, who have fallen weak, and have become involved in activities that are against Islam and are outside of Islam. And there are reasons people get involved in using substances. If one doesn’t have a strong connection to Islam, they don’t have the strength to withstand the pressures of society, so they turn to alcohol and substances. Also when we live in oppressive segments of our society, and environments in which alcohol abuse and use of substances are the norm we become susceptible, we’re human beings. So we have to understand that we have those challenges and we have to put a plan in place to provide services for that. We need to become involved in substance abuse and alcohol prevention programs, because these things are preventable. For those who are involved in substance abuse, they need treatments, they need these services, that are spiritually and Islamically grounded. AR: Sr.Shahina Siddiqui (executive director of the Islamic Social Services Association of the United States and Canada) has said ‘that every Muslim is a social worker’. What is your take on that? AN: Oh, I agree with her wholeheartedly. Every Muslim should be, to some degree, not a professional social worker, but at least as I said earlier, cognitive of the fact we should engage in social services in various forms. engineering, medicine and other various professions, but in some ways we are all obligated to as part of our covenant with Allah, engage in it in some form or other of social services.